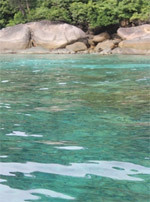 High Season on Andaman Sea like the Heaven-On The water . We very recommended you book this package NOW! 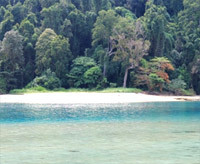 if you realy want to visit Surin and Tachai Island. 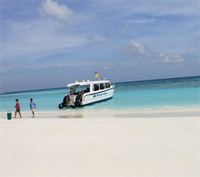 On Andaman Sea, the high Season (From November -April) became to be the heaven of Island Hopping Lovers. The sky turned to be very clear, the Sea is very calm and the water turn to be clear like a mirror. The High Season starts, the time for ocean lover had come too. 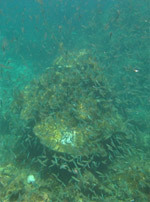 A million kinds of Marine life come back to show their life with the colorful. 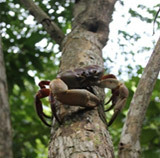 On the far away Island-Surin Island, the is a Gypsies tribe, living their life just on the Island and the sea, find out the food just from the Nature-Under the sea. 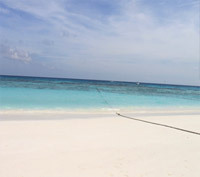 The most beautiful beach of Thailand on "Koh Tachai" We trusted that "you had never seen the nice beach like this before." For sure, it should be number one of Thailand. 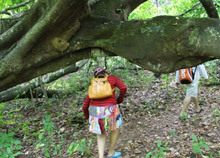 Take a short for funny trekking on the Island to see more wild life on "Tachai Island." 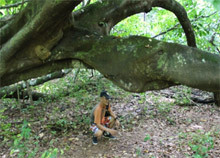 It can make you feel freshly with the hidden island nature. 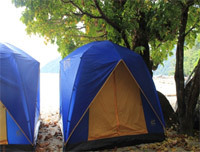 Camping Location is just next from the beach on Surin Island. 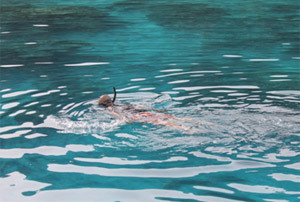 By this make you can touch the Nature of the beautiful Andaman Sea for all day and all night. The Cleanliness Bath Room & High Standard Toilet are serviced as comfortable.